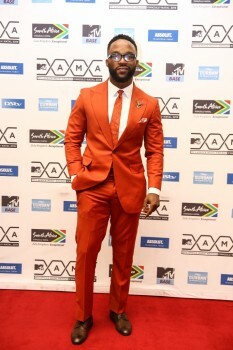 Since mysteriously parting ways with the Ubi Franklin-led record label, Made Men Music Group (MMMG), popular RnB singer, Iyanya Onoyom Mbuk, fondly known by his stage name, Iyanya has kept radio silence on the circumstances that led to his departure from the label which helped to nurture his budding music career after emerging as winner of the first season of MTN Project Fame West Africa. However, in an interview with Bolanle Olukanni, host of the Juice on Ndani TV, the Kukere singer finally broke silence on the mystery behind his departure with the record label. Speaking further, he explained how Don Jazzy helped him overcome the difficult time he experienced after parting ways with Made Men Music Group. He added that the major reason he decided to dump the label was because Ubi Franklin betrayed him. According to the singer, pitching tent with Mavin Records at the time marked the beginning of his healing process. “That was healing for me, that was the best time of the whole situation I was in; that was the best moment because Jazzy just opened his family and said look, you’re one of us and everybody just showed me that love because it came from Jazzy. From Jazzy to Tiwa to Baby Fresh to everybody, it was just love and that really gave me life because to be honest with you, I was broken”, he said. Meanwhile, Ubi Franklin wasted no time in rubbishing Iyanya’s claims as he has since labeled him a liar and ingrate. “It’s very unfortunate that a person I took as my brother had to lie to the world to make himself look good. Always wait for both sides of the story before calling people names. Here is to prove that Iyanya lied to make himself look good. I have never fought anyone I have worked with, dated or married publicly and I swear never to do that. We try to settle things in house and if that can’t happen we call on elders to mediate, it has always worked”, hew said.